Set during the Japanese Occupation, four friends (Nitoy, Benny, Carding, and Badong) aspire nothing more than to become soldiers fighting the Japanese... until they are confronted by the realities of war that threaten to destroy their families and their friendship. Denise O’Hara was born on March 6, 1980. She was a student of Comparative Literature in the University of the Philippines (Diliman) where she fell in love with writing. As such, she became a writer for television. She started writing for ABS-CBN on 2004. 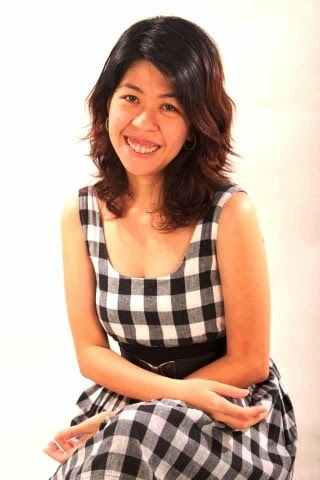 Among her works are teleseryes such as Hiram, Sa Piling Mo, Ysabella, Kahit Isang Saglit and the adaptation of the koreanovela, Only You.In 2010, she became headwriter for the same network and worked on the following teleseryes: Rosalka, Juanita Banana (adaptation), Maria la del Barrio (another adaptation), Mundo Man ay Magunaw, and Be Careful with My Heart . Presently she is on leave from the show to collaborate with her sister for the film, Sundalong Kanin, an entry for Cinemalaya 2014. Janice O’Hara was born on March 6, 1980. Growing up, Janice was not only influenced by classic Filipino movies and literature. She studied Comparative Literature at UP Diliman. Before graduating, she dropped out of college to work. Janice started a concept developer in ABS-CBN. Later on, she began to write for the horror show “Nginiig!” Janice wrote for other shows such as “Super Inggo,” Kung Fu Kids,” “Alyna,” “Nasaan ka Elisa?,” and the recently ended “Maria Mercedes.” In 2010, Janice wrote the screenplay for the Cinemalaya film, “Ang Paglilitis ni Andres Bonifacio,” directed by Mario O’Hara. The year after, she consulted on the film “Cuchera” of Joseph Laban. This year, janice is taking a break from teleseryes to do their film “Sundalong Kanin,” a finalist in this year’s Cinemalaya Festival.